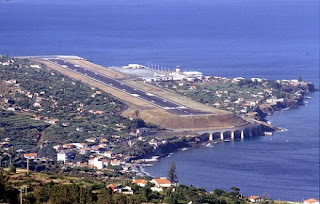 Madeira Airport (IATA: FNC, ICAO: LPMA), (informally known as Funchal Airport, and formerly known as Santa Catarina Airport), is an international airport in Santa Catarina, Santa Cruz, located near Funchal, Madeira, Portugal. 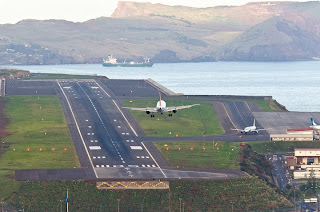 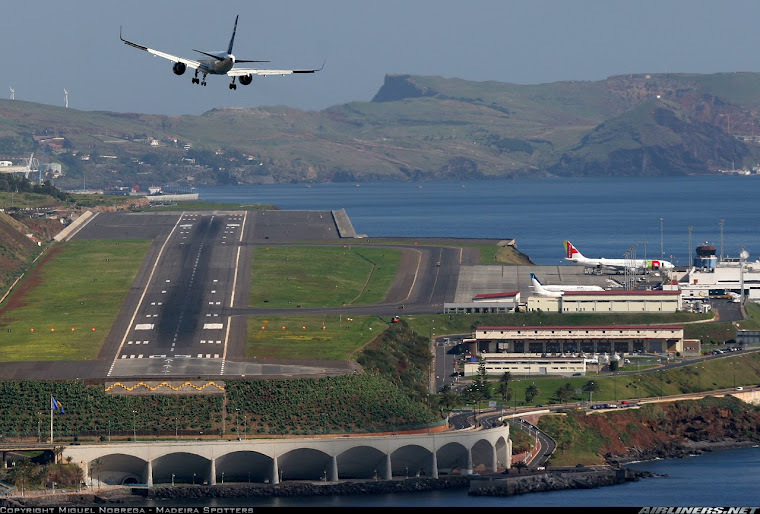 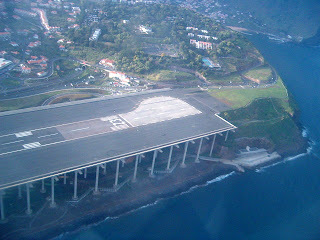 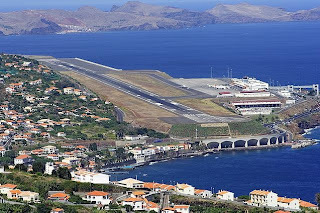 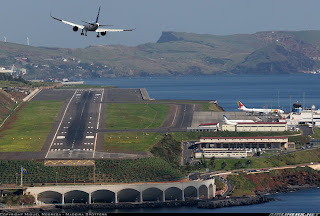 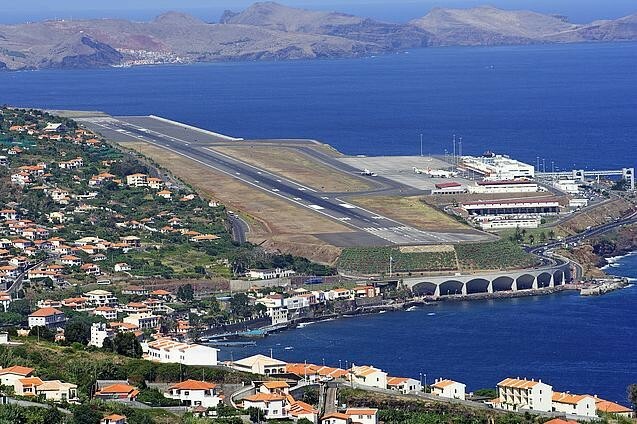 The airport controls national and international air traffic of the island of Madeira. 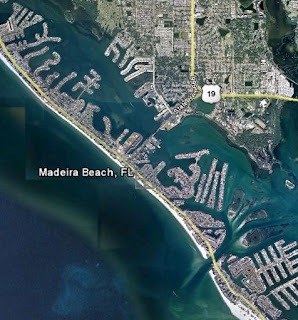 It was first opened on 18 July 1964 with two 1,600-metre (5,249 ft) runways. 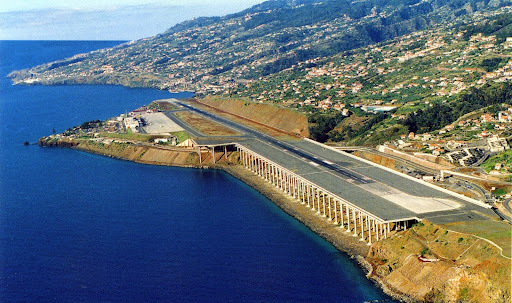 The airport was once infamous for its short runway which, surrounded by high mountains and the ocean, made it a tricky landing for even the most experienced of pilots. The original runway was only 1,600 metres (5,249 ft) in length, but was extended by 200 metres (660 ft) 8 years after theTAP Portugal Flight TP425 incident of 1977 and subsequently rebuilt in 2000, almost doubling the size of the runway, building it out over the ocean. 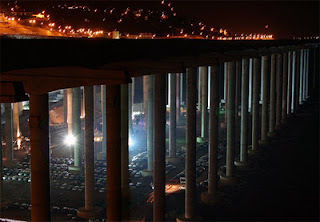 Instead of using landfill, the extension was built on a series of 180 columns, each about 70 metres (230 ft) tall. 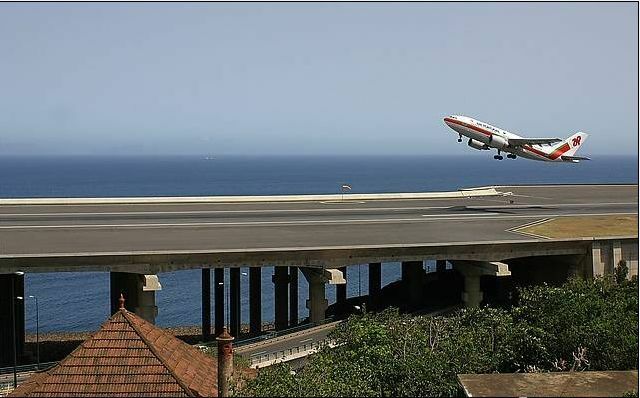 This airport is also considered the Kai Tak of Europe because of its singular approach to runway 05. 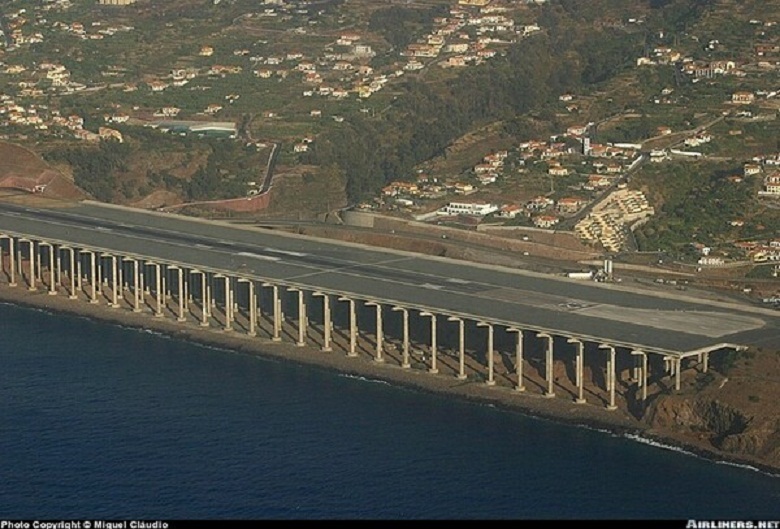 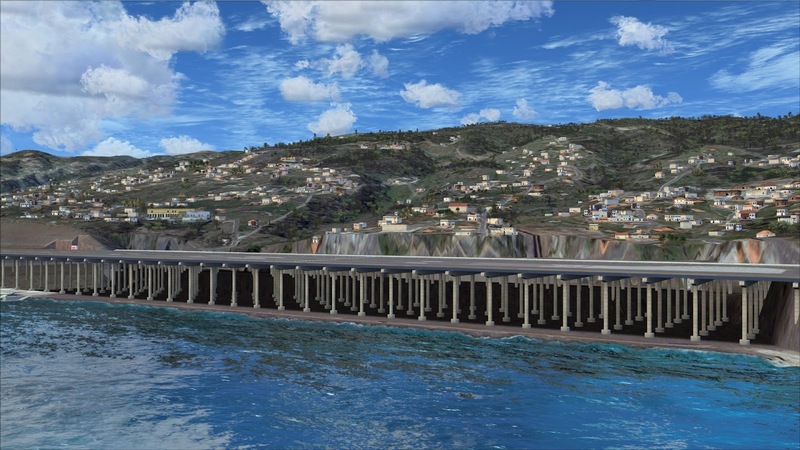 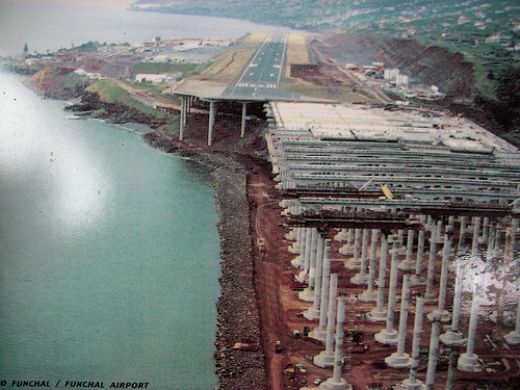 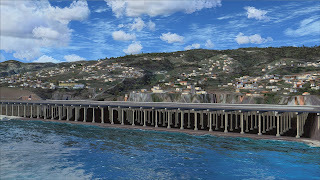 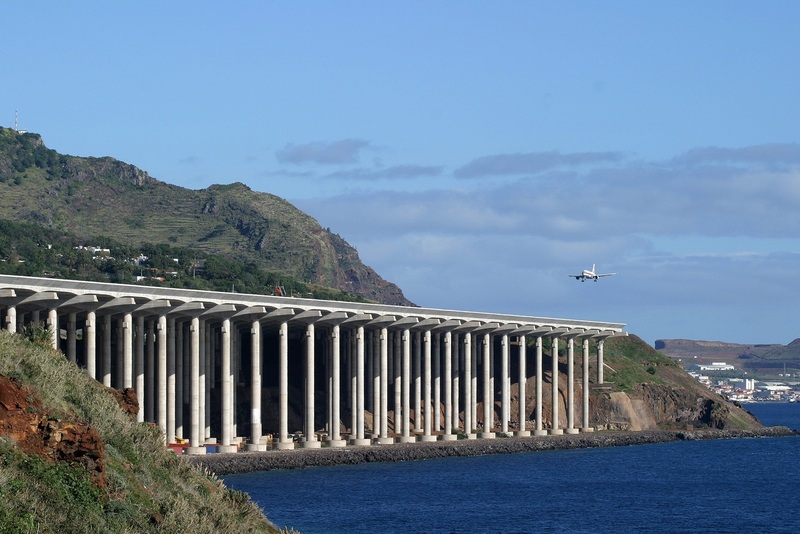 For the enlargement of the new runway the Funchal Airport has won the Outstanding Structures Award, given by International Association for Bridge and Structural Engineering (IABSE). 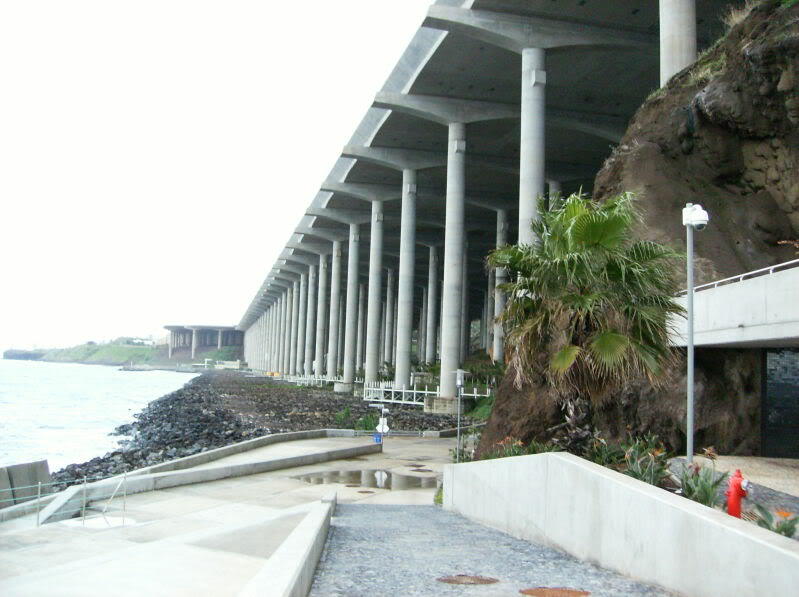 The Outstanding Structures Award is considered to be the "Oscar" for engineering structures worldwide. 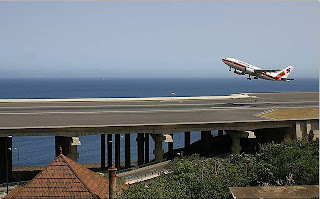 The History Channel program Most Extreme Airports, ranks it as the 9th most dangerous airport in the world, and the second most dangerous in Europe after Gibraltar Airport.